Looked like an impossibility when someone told me few years back about extending loans to strangers by just looking at their online presence or by just analyzing their smartphone usage. How can you trust someone with your money without having met them? How can you match the due diligence level of banks? No reference check? nothing? That was my initial response. But it started happening, and rather fast. These are exciting times for Digital Financial Services. Few weeks back Easypaisa launched Asia’s first digital lending pilot branded as Easypaisa Digital Loan for Easypaisa Mobile Account customers. 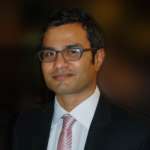 Jumping in the game are CreditFix and TEZ Financial services who are soon going to launch their mobile apps to offer loans to pakistani customers. Before we look at what these players are doing, its pertinent to understand what digital lending is. We are aware of lending and borrowing of money as a banking service. Traditionally, lending is paper based process and takes days before a customer is investigated thoroughly for his worthiness to receive a loan. With digital lending, this turnaround time of days has reduced to literally minutes. When we think of loan, banks come to our mind. But, with disruptive financial technologies, many startups have started giving loans without having any fully functional bank at their back.They run Know Your Customer (KYC) check in unconventional ways using smart algorithms that iteratively improve their accuracy as more and more data is fed into them based on customers’ transaction history. While removing paperwork is one aspect of digital lending, complete automation of the process without human interaction at any stage is the most important part of this disruption. Now, let’s have a closer look at these players’ offerings. A widely known branchless banking brand established in 2009, Easypaisa has successfully launched its pilot for digital loans this year. 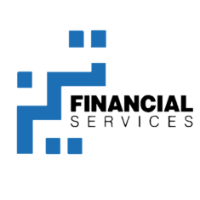 Loan facility is available to select group of customers based on their credit score calculated from their mobile phone and mobile financial services transactional data. This service is available exclusively for Easypaisa Mobile Account customers and can be availed using USSD menu *786#. The loan amount varies from Rs 1,000 to Rs 10,000 depending upon customer’s scoring. This loan facility has variable pricing based on risk category of customer. If customer has good score he will be charged lower interest rate and vice versa. And as customer continues to use this service with timely repayment of loans, the interest rate continues to decrease. 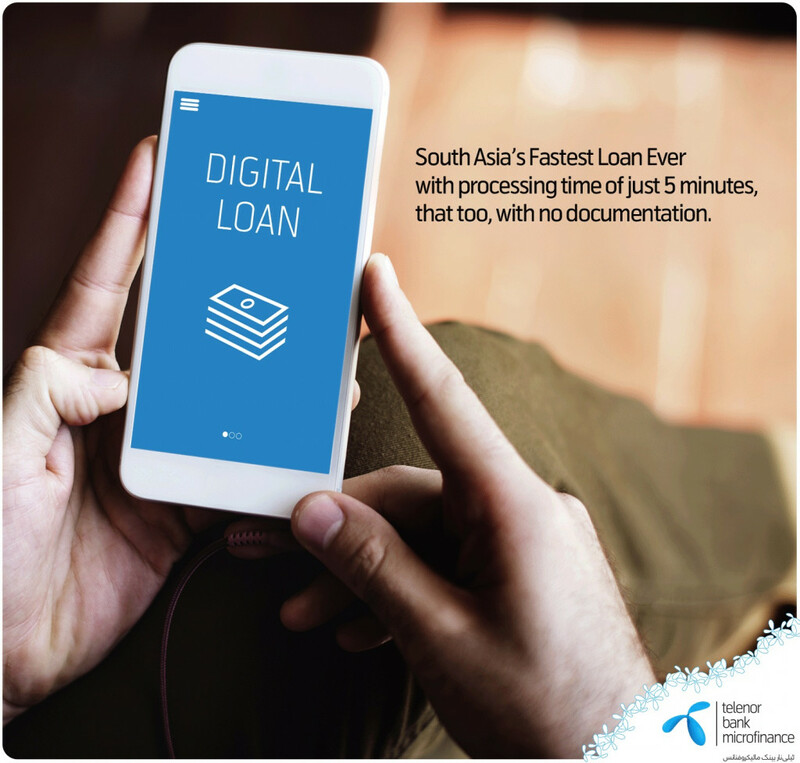 70% of Easypaisa Digital Loans are processed under 1 minute. Rest take maximum 3 minutes. Customers can pay back their loan in 14 days. Founded by Nadeem Hussain, the veteran micro-finance banker, TEZ is testing its beta application and is planning to commercially launch the app in Jan, 2018. Its using smartphone data to score credit worthiness of customers. The app is not just about lending but TEZ aims to offer added services related to savings and investment later on. The best thing about TEZ as its name suggests is fast(instant) loan awarding. It takes literally less than a minute to get the loan in case customer qualifies for it. TEZ Loan amount starts from Rs 1,000 and goes up to Rs 10,000. TEZ is in negotiations with investors for first round of funding. Founded by Owais Zaidi, a serial entrepreneur in partnership with his friend, Tayyab Tariq, Stanford Alumni, Credit Fix claims to offer life changing loans to its customers. While TEZ and Easypaisa are focused on micro and nano loans, Credit Fix aims to offer loans with amount as high as Rs. 2.5 Million. Primarily, using smartphone consumption pattern and publicly available data points, CreditFix is targeting low income groups to help them start and expand their business. 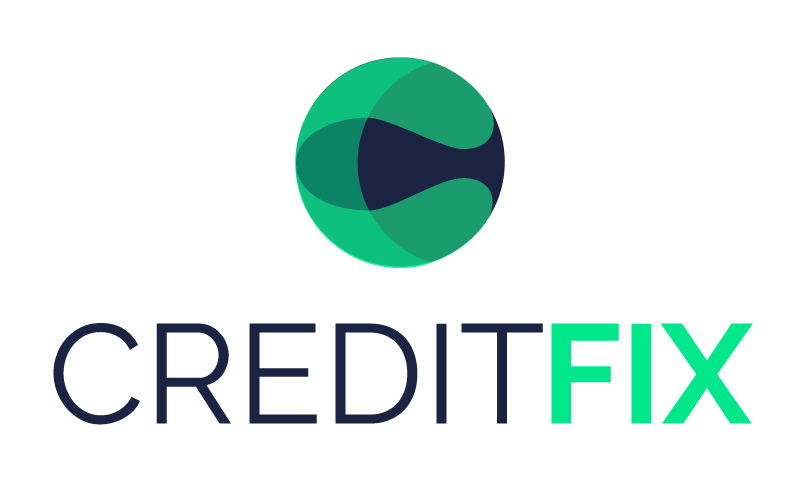 Besides, CreditFix will also offer a marketplace for loan providers like banks where any interested party can showcase its loan products, letting customers decide which one to buy based on terms and conditions. Loans are not instant though and first loan might take 3 days with starting loan size of Rs 5,000. Customers will get risk based pricing. In other words it will be dependant on their own profiling. The better the risk profile, cheaper the interest rate. 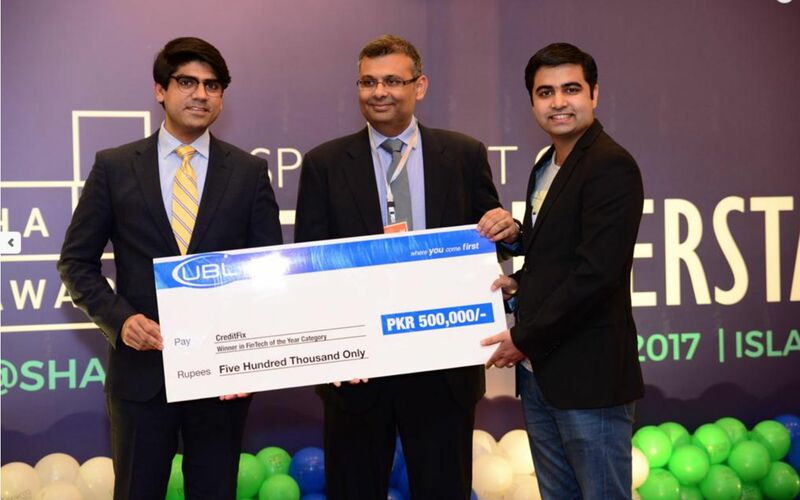 CreditFix is the winner of $100,000 prize by Karandaaz Fintech Disruption Challenge held this year. 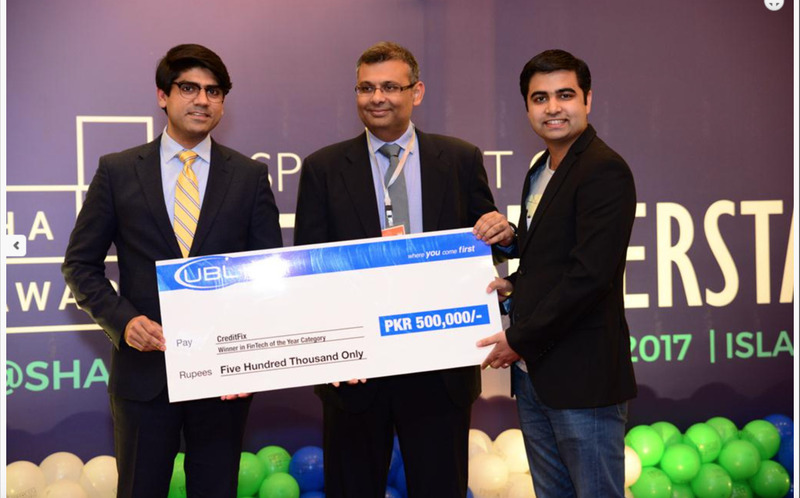 CreditFix is also the winner of Global Innovation Challenge prize worth $100,000 by DFS Lab, US. It was awarded Fintech Of The Year award by PASHA with prize money of Rs. 500,000 sponsored by UBL. They are all set to launch in Dec-17. This development is indeed groundbreaking and will add tremendous value in lives of low income groups who do not have access to formal lending services by commercial banks. Lending is probably the most promising use case to include masses financially. I’m excitedly keeping tabs on digital lending landscape in Pakistan and I would want to see how these and new entrants live up to the promises and expectations.